CHINA issues the much-awaited 3G licenses to China Mobile Ltd, China Unicom Ltd and China Telecom Corp today, a move that could trigger at least few hundred billion yuan in investments over the next two to three years. China currently is the largest mobile phone market in the world, with more than 611 million mobile subscribers. 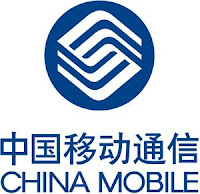 According to a spokesperson in the Ministry of Industry and Information Technology, China Mobile will operate its 3G services based on the domestically-developed time division synchronous code division multiple access technology (TD-SCDMA), while Unicom and China Telecom will operate on the wideband CDMA (W-CDMA) and CDMA 2000 services respectively. Main beneficiaries will be the 3G equipment makers like ZTE and Ericsson. The Chinese government expects the three players to pump in 280 billion yuan over the next two years, which means about 80-100 billion yuan for each player. Shares of the three 3G winners declined yesterday, as investors took profit from earlier gains. China Mobile was down by 5.48 per cent to HK$78.45, China Unicom down 10.6 per cent to HK$9.19 while China Telecom Corp fell 5 per cent to HK$3.03.